DENVER, COLO. – Denver based Frontier Airlines is adding three new destinations to their network from Denver International Airport (DEN). Beginning in July, Frontier will operate flights from Denver to Harrisburg, Portland, Maine and Syracuse. Frontier will be the only airline offering non-stop service on these routes. 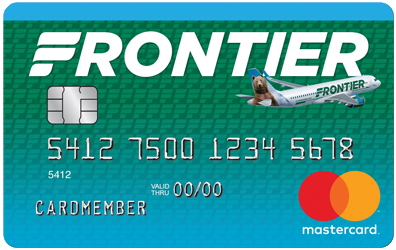 To celebrate these new routes Frontier is offering special introductory fares as low as $69 only available at FlyFrontier.com. These additions mark the first time in history that DEN will have nonstop service to the State of Maine; DEN now has nonstop flights to 45 U.S. states and the District of Columbia. F9 164 Depart DEN: 6:30 a.m. Arrive MDT: 11:52 a.m.
F9 165 Depart MDT: 4:44 p.m. Arrive DEN: 6:36 p.m.
F9 515 Depart DEN: 6:04 a.m. Arrive PWM: 12:04 p.m.
F9 514 Depart PWM: 6:33 p.m. Arrive DEN: 9:15 p.m.
F9 652 Depart DEN: 6:29 a.m. Arrive SYR: 11:48 a.m.
F9 653 Depart SYR: 5:35 p.m. Arrive DEN: 7:17 p.m.
Frontier is focused on offering customers real choice and the ability to customize their travel to their needs and budget. For example, customers can purchase travel options like bags and seat selections either a la carte or in one low-priced bundle called the WORKSsm. The Works bundle is considered one of the best values in the industry and offers customers full refundability, a carry-on bag, a checked bag, the best available seat (including exit rows and Stretch seating), waived change fees and priority boarding for as low as $59 each way. The Works is only available at FlyFrontier.com.